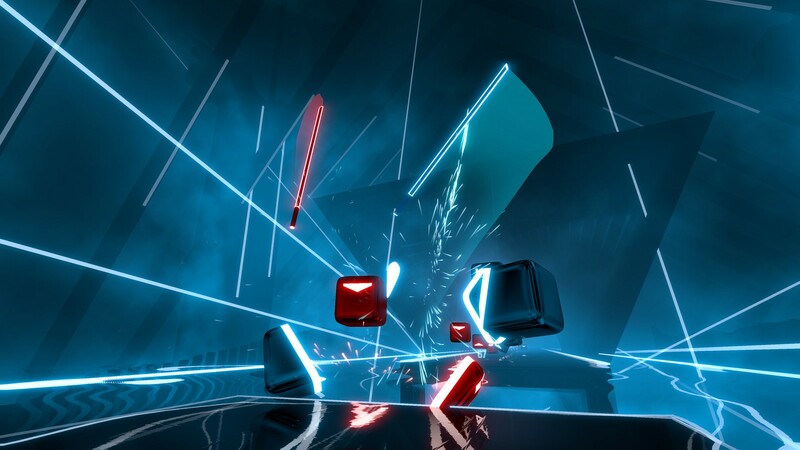 Immerse yourself in a futuristic world of music, color and lights. Let’s go, my body is ready!!!! This game looks so amazingly fun! Are all the original songs still included? Yaaaaay!! Please please please please please have a physical edition! Very exciting! Day one, can’t wait! I assume US$19.99 just like other platforms? Is it still going to be $20? I would be very surprised if it’s only $20.00 eventhough it may be that price on PC. Hopefully it is though. Yea, hope for $20, but expect/budget $30, or $40 in worst case scenario. 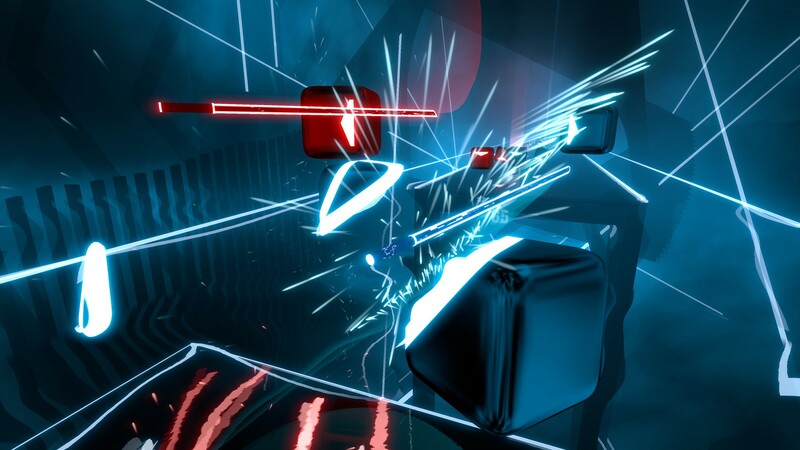 The added elements detailed here can be used as an excuse for the cost, and many prior PC (even Mobile) VR titles have been up-charged on PSVR. Nice. I’m glad I’ll be able to get this just before Thanksgiving so I can take it to parties. I AM SOOOOO READY!!!!!! This game is amazing. 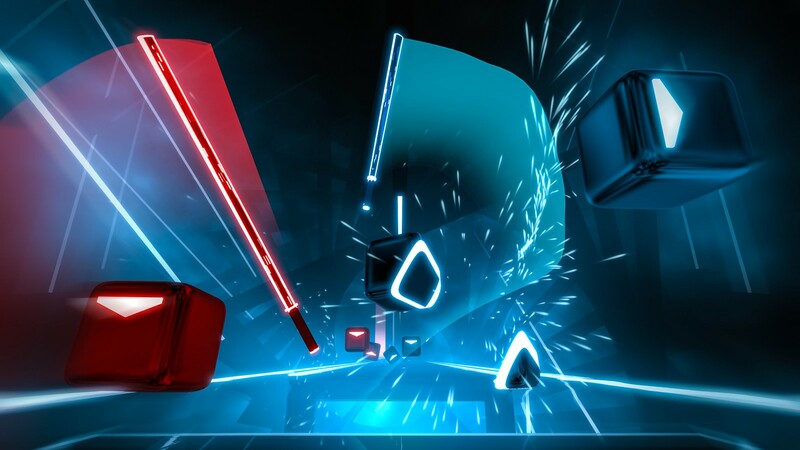 Where is the nice first person view the PC version gets that makes it look like the player is actually holding the sabers instead of them being out in the middle floating in thin air like the video above shows? I think you are confused, the many videos you see online with the person holding the saber are cleverly edited and recorded using a green screen and with a kinect, what you see here is the same as the regular pc version. Heck yes! I’ve been waiting for this one! When an announcement/update like this is shown on the Blog, it should immediately be available for preorder on the Store, or at the very least viewable, so it can be added to a Wishlist. I totally agree, I still can’t find Road Redemption on the Playstation store from their previous article. So excited for this. I’ve been waiting for a launch date forever. Excited that you are going to give us even more songs with expansions. No mention of downloading the custom games, at least at launch. I’ve played this game many times on my friend’s HTC Vive, and downloading custom songs adds so much to the game. I didn’t think that this would be my cup of tea, but trying it out on a friend’s PC changed my mind. 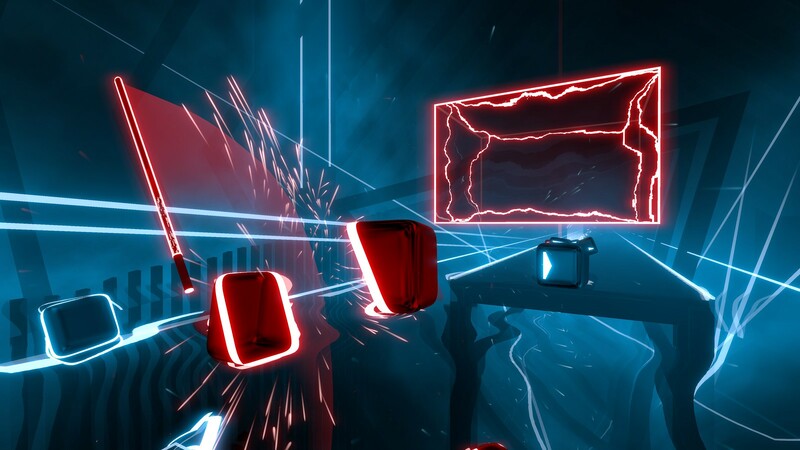 Unfortunately, a large part of the appeal for me is being able to play to Persona 5 and other old favorite songs, so without BeatSaver, I can’t see myself making this purchase. Who cares about psvr garabge. We want japanese games without censorship. I’ve been waiting so long to finally play this. No option to pre-order yet, if it will get the option at all. I have waited for this master piece for awhile and now it is almost here! who else is hyped for this?!!!!! Will there be a bundle? Will it be free to play?? If no please do it cause it will be fun to play with friends. I have been waiting for this !!! 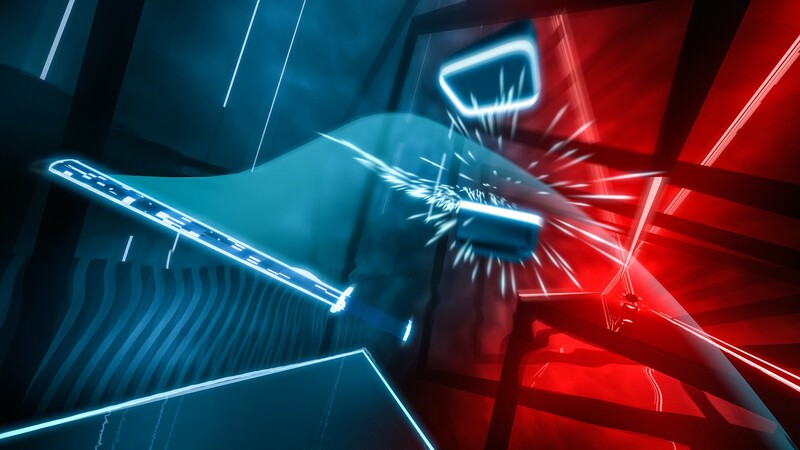 I continue to be impressed with the level of support PSVR is getting two years on, really looking forward to this one. I have been waiting for this for months! Though, I don’t see the game in the store. Will it be available in Hungary too? It’s not on any store yet. I don’t think there’s going to be a preorder, otherwise it would be up I’d think. In guessing you can’t add custom songs, unlike the pc version. I’d be so happy if you could. First time I play my vr in months!!!!!! im soooo ready. And it’s the 20th!!!! But it’s not in the PS Store line up. :-( But I guess it’s worth the wait. I’m sure you’re fixing more bugs and refining the game even further. Thanks for thinking of the players! Where is it!! No prices , it’s not on the network! We waited where is it???!!!?? 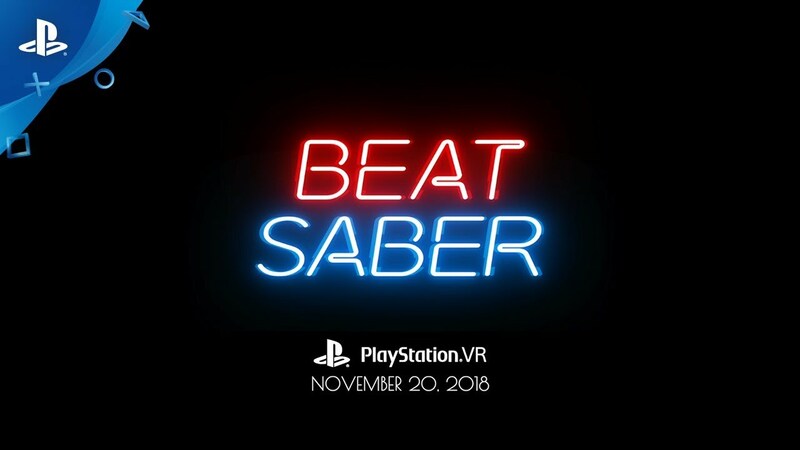 Where is beat saber it is November 20 and I don’t see it on the PlayStation store? Nevermind I see it launches 8am PST. Can’t wait!